OK, we get it: It’s a small world after all. SeaWorld’s resident killer whale, Shamu, still rocks. And the Wizarding World of Harry Potter attraction at Universal’s Islands of Adventure really is magical. But after the requisite theme park visits with the kids, what does Orlando have to offer adults for some grown-up playtime? SheKnows found a few fun options. 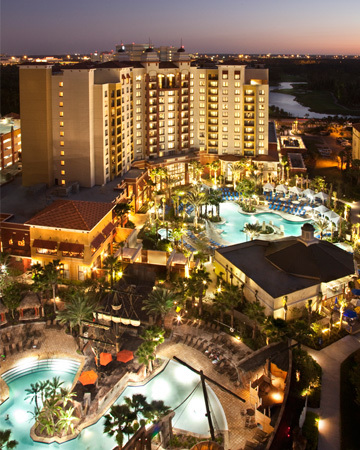 The Wyndham Grand Orlando Resort, Bonnet Creek boasts 400 new guest rooms and suites (including 84 rooms with bunk beds). Book a concierge-level room on the top two floors and gain exclusive access to the Concierge Lounge with complimentary light continental breakfast and evening snacks, and amazing views of the Disney parks and scenic lakefront of Bonnet Creek. The Mediterranean-inspired resort is also a fine dining destination, with three signature restaurants including deep blu seafood grille specializing in seafood fusion fare. If you’d rather dine in, room service is available around the clock. To unwind, the Wyndham Grand Orlando, Bonnet Creek, offers the full-service Blue Harmony Spa with products and treatments infused with filtered sea water, six treatment rooms — including a spacious couple’s suite — and two outdoor treatment areas. For more respite, guests can lounge in an outdoor hot tub or cabana overlooking the zero-entry lagoon-style pool. The adjacent pool with a pirate ship waterslide is the perfect place to send the kids while you enjoy well-deserved alone time. Rates begin at $139 per night. The Sweet Escapes Package starts at $179 per night and includes deluxe accommodations, buffet breakfast for two adults and a bottle of champagne. Let’s be honest — the kids aren’t the only ones who look forward to snapping a photo with Mickey and Minnie on Disney’s Main Street. But after you’ve spent the day trekking from Adventureland to Tomorrowland, Downtown Disney — divided into Downtown Disney West Side, Downtown Disney Marketplace and Pleasure Island — comes alive after dark with a bevy of shopping, dining and live entertainment options. Our pick: Check out Cirque du Soleil – La Nouba (the English translation: to live it up) in Downtown Disney West Side. The captivating show features a mix of exhilarating high-wire, trapeze and choreographed stunts with theatrical lighting and provocative music. Universal CityWalk’s 30-acre entertainment complex is also a festive nightlife venue with plenty of places to eat, drink and be merry. Our picks: Dine on gourmet Creole cuisine at Food Network star Emeril Lagasse’s Emeril’s Restaurant Orlando, catch your favorite music or comedy act at the Hard Rock Live and channel your inner American Idol singing karaoke accompanied by a live band and backup singers at CityWalk’s Rising Star. Attention, bargain shoppers. Save up to 75 percent off merchandise at Orlando’s Lake Buena Vista Factory Stores, where you’ll find Nike Factory Store, LOFT Outlet Store, Famous Footwear Outlet, Levi’s Outlet Store, Gap Outlet and Old Navy Outlet, among other discounted retailers. After shopping ’til you drop, pamper yourself at the Lake Buena Vista Resort Village & Spa on the premises. For convenience, a free shopping shuttle runs to and from participating Orlando hotels. Fashionistas with a bigger budget can splurge at Orlando’s award-winning shopping destination, the Mall at Millenia – home to a top-shelf selection of designer brands including Louis Vuitton, Gucci, Chanel, Cartier, Michael Kors and Tiffany & Co. The upscale mall is located just minutes from Orlando’s major attractions. 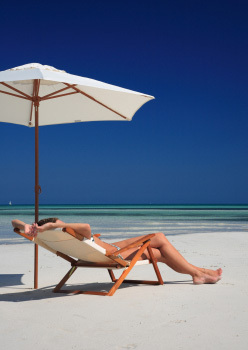 Take a two-hour excursion to Clearwater Beach, the closest beach to Orlando. After you’ve maxed out on theme park settings, a day trip to the beautiful white sand and sparkling blue water of Clearwater — ranked by USAToday.com as one of its top 10 beaches — is well worth the trip.